Further to the confirmation by Minister for Health James Relly (above) that medical card holders who have cancer will lose their card unless they have a written note from their doctor saying the condition is terminal. I would be much appreciated if you brought some attention to these new developments concerning cancer patients and the medical card on broadsheet.ie in case it goes under the radar with all the press coverage the abortion debate is getting at the moment. I am literally shaking with rage after reading these articles. I watched my father fight and ultimately lose a battle with cancer over a number of years and one of the feelings I remember was thinking that at least we’re not alone in this and the state actually cares. To see the horrible effect that the treatment, let alone the disease itself, has on the sufferer is horrendous. After receiving chemo treatment, the patient can barely move, with all energy knocked out of them, they need to focus all their available energy on fighting this disease without the added worry of having to raise the funds to pay for all the treatment and medicines. As you can imagine, it would be very easy to give in and give up under these circumstances. Now the government is saying that unless there is absolutely no hope for you, don’t come calling. For me, this is truly a move that has crossed a line today. Words can not describe the contempt I am feeling for those in power right now. 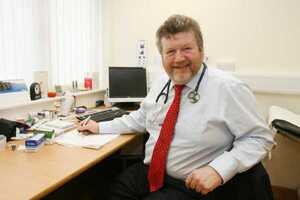 Posted in Misc and tagged Cancer Treatment, James Reilly at 4:17 pm on July 11, 2013 by Broadsheet.